I Read on the net that Netflix were showing She in Widescreen? The tv show Tarzan staring Wolf Larson has Amazon women in the episode Tarzan and the Amazon Women. 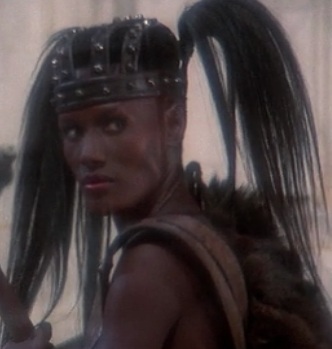 Grace Jones might have looked more attractive if she had longer hair like in this shot at the very end of the movie. 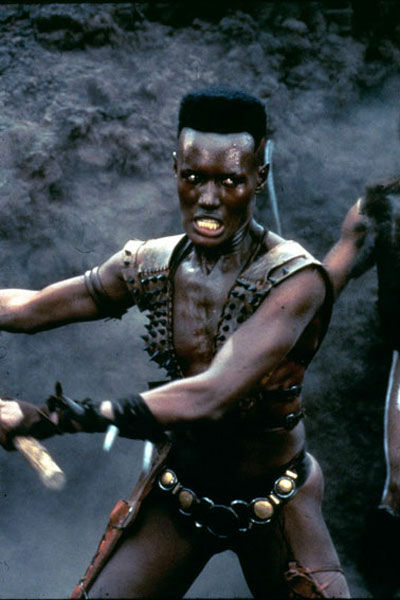 The movie could have used more women it in as well. Olivia D' Abo All Grown up!! !